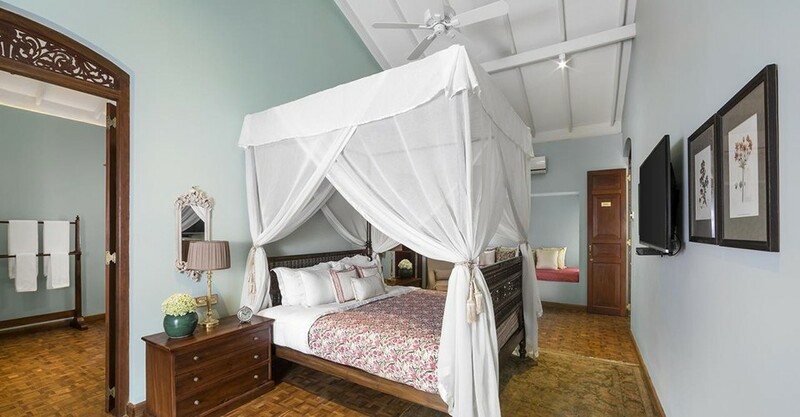 This hundred year old colonial-style heritage home turned luxury boutique hotel was once home to five generations of a family originating from Jaffna’s Manipay. 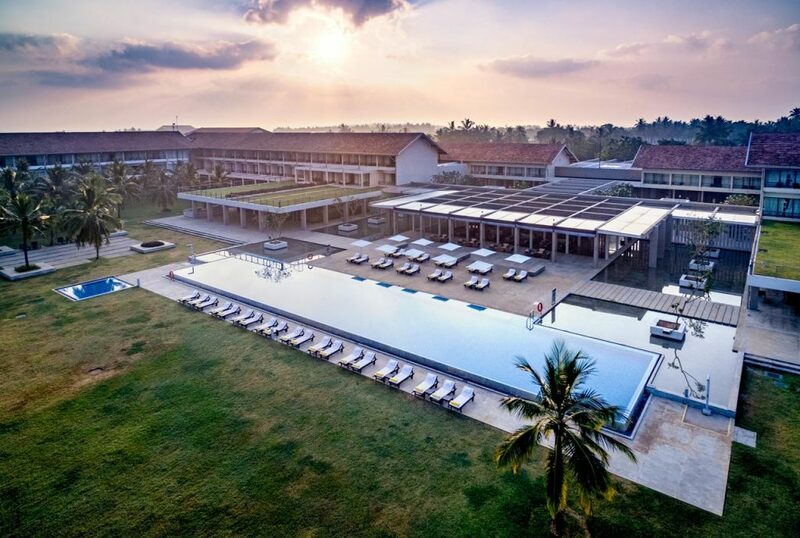 The hotel offers a unique perspective of Sri Lankan culture by offering guests an experience to relive a past that is characteristic of the people who lived in the house and the life they led. Each room is named after a female family member from each generation. 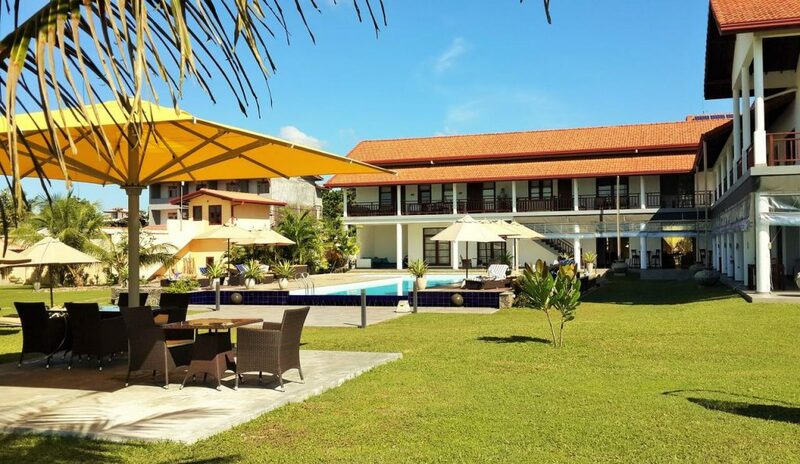 The hotel is located just 5 minutes from Royal Colombo Golf Club in a placid environment in one of the fanciest parts of Colombo. 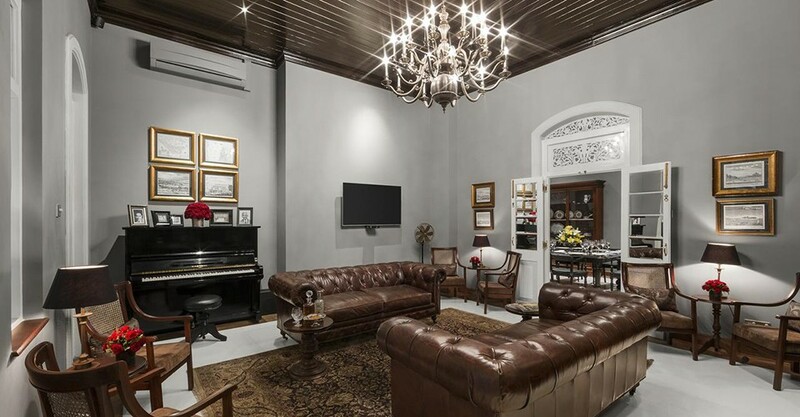 8 suites designed to evoke old world charm are furnished with vintage furniture, rugs and paintings and are spread across the two levels of the house. 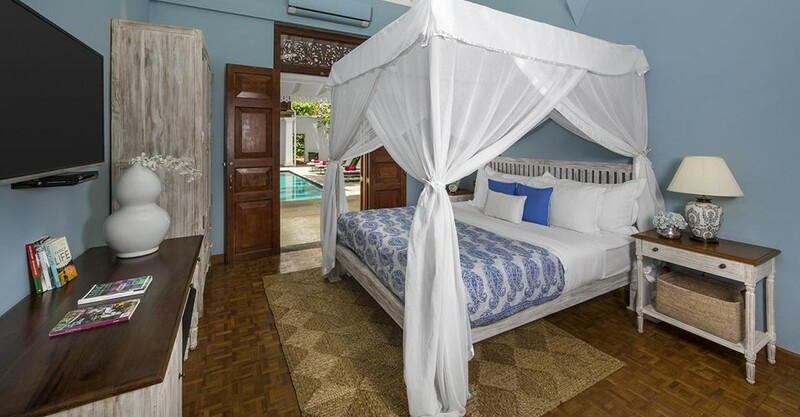 All suites contain sumptuous bedding and plush bathrooms with bath and shower. Located at the ground floor, this luxurious suite comes with a private lounge that can double as an extra double bedroom. 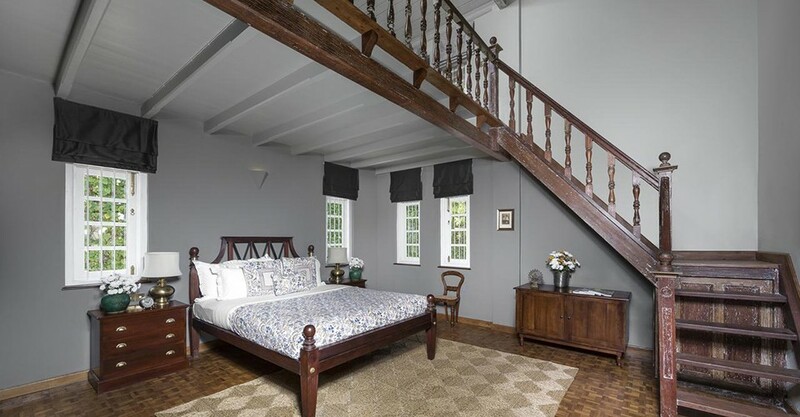 The suite contains a king sized ebony canopy bed, changing room and a private garden sit out. 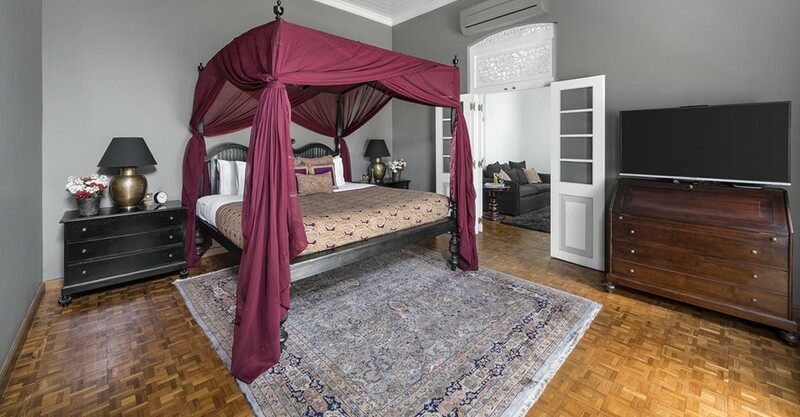 This ground level suite furnished with a colonial king sized bed has a mezzanine floor that can be either used as a lounge or a double bed space. These superior upper floor suites have roomy balconies overlooking the central courtyard and pool. Consist of four poster beds. 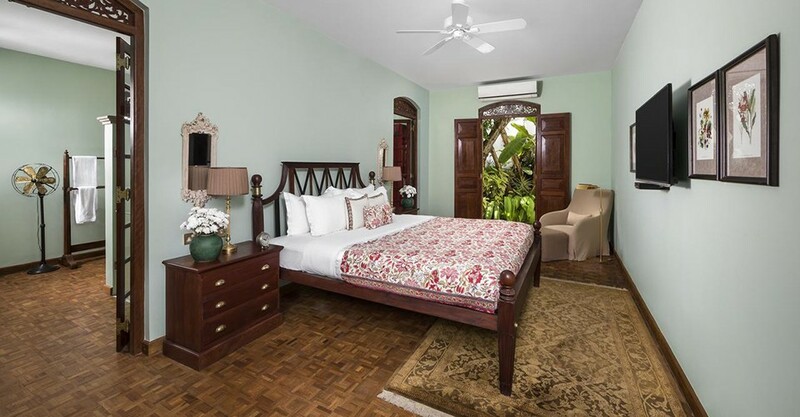 Situated on the ground floor, the suites have secret gardens to the rear of the property and king sized beds. 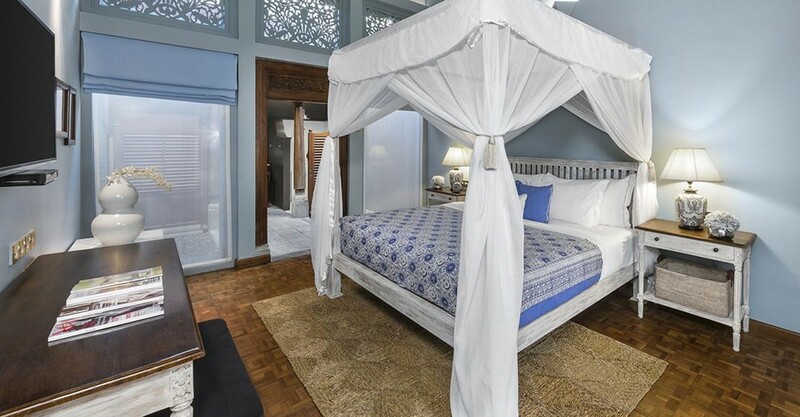 These deluxe suites are furnished with queen sized four poster beds and have Jaffna styled courtyard bathrooms. Enjoy fine dining and customized meals prepared by award winning chefs. Local and international cuisine and Jaffna flavours are on the menu. The hotel pool is an ideal place for a relaxing swim.